Up to 20% Rewards and Free Shipping with Club O Membership. Free Club O Membership for Military Personnel. 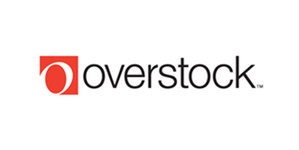 Overstock.com, Inc. is an online shopping retailer that sells a broad range of products at low prices including furniture, rugs, bedding, electronics, clothing, and jewelry. Let Overstock.com help you discover designer brands and home goods at the lowest prices online.